At the stroke of midnight between November 8th and November 9th, Rs 500 and Rs 1000 currency notes would cease to exist as legal tender. While addressing the nation, PM Modi announced the decision to completely ban Rs 500 and Rs 1000 currency notes with immediate effect. This is being regarded as the biggest decision till date to promote cashless economy in the country, which will not only help to curb black money but also promote ecommerce via digital transactions. 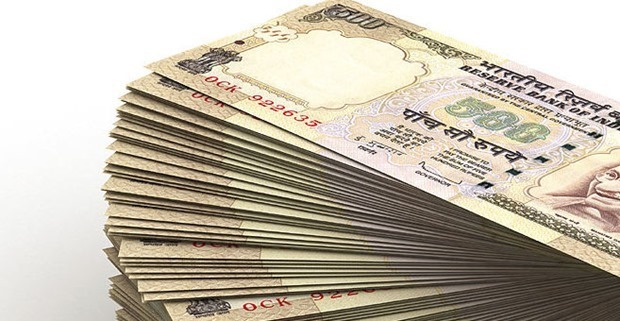 Out of Rs 16.4 lakh crore currency notes in circulation, 86% consists of Rs 1000 and Rs 500 currency notes. In the history of Indian economy and commerce, never have such massive decision been taken as tons of currency would be now replaced in the next few days. Those who have Rs 1000 and Rs 500 currency notes need not panic as they can visit any bank or post office, and deposit their money into their accounts. Starting from November 10th to December 30th, the process of depositing Rs 500, 1000 notes would be on; and till March 31, 2017, deposits can be made using ID card, after which all such notes would be useless. The suddenness and secrecy of this decision stunned one and all. Black money hoarders have not been given any chance to replace their money, as their only option now is to deposit their money into the bank (and thereby become taxable). Meanwhile, the hoax of Rs 2000 notes has been finally solved. PM Modi informed the nation that within few weeks, new currency notes of Rs 500 and Rs 2000 denominations would be introduced, which will replace all existing bank notes. Meanwhile, all banks and ATMs would be closed tomorrow, as the authorities would be re-fuelling smaller denominations and the new currency notes of Rs 500 and probably Rs 2000 as well. Once ATMs starts to operate, only Rs 2000 can be withdrawn from an ATM at one time, and withdrawals from bank accounts would be limited to Rs 10,000 a day and Rs 20,000 a week. – Consumer co-operative stores run by Govt. – Milk booths run by State/Centre Govt. PM Modi expressed confidence that bank staffs and post office staffs would rise to the occasion, and ensure smooth transition of this major shake-up in the currency business. We will keep you updated as more details come in. Meanwhile, do share your views on this news by commenting right here! "Black Money Now History; Rs 500, 1000 Currency Notes Banned In India", 5 out of 5 based on 15 ratings. …but if i DO pay tax, will that money be spent on ME?? Like, if I pay road tax, then will the road *I* walk on or drive on, be fixed?? ..cause if this is just yet ANOTHER piece of Affirmative Action, ie. the dole, then Modi should be shot! And HUNG! i do agree with u. the tax which govt take from us also assure us with useful work. Petrol and medical shops are already refusing to accept it. Just because you plan a rule diligently does not mean everyone will follow it. It is going to be a chaotic scenes in next few days. No wonder, PM consulted military chief before announcing. It is going to be perfectly alright. Two day ban on these notes will not be as chaotic as you predict. Go to bank day after tomorrow and exchange unless you have lots of black money lying around. FYI, I never supported Modi and his actions. For the first time i feel proud of this country. He did something no body ever dared to do for this Country.